Lipcon, Margulies, Alsina & Winkleman, P.A. 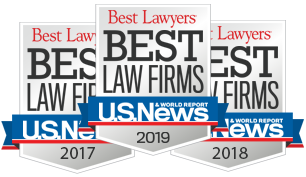 is proud to announce that our maritime lawyers Jason R. Margulies and Michael A. Winkleman have secured the top verdict for 2012 in Florida for admiralty and maritime law for the case: William C. Skye v. Maersk Line Limited Corporation, doing business as Maersk Line Limited. The Daily Business Review, the periodical that ranks and publishes Florida Top Verdicts, reported that the successful $2,362,299 verdict was reached on May 16, 2012, under the Jones Act for the plaintiff, William Skye, a commercial ship crew member who sustained permanent physical injuries onboard a container ship from October, 2000 to May, 2008 due to negligent working conditions imposed by Maersk. Under maritime law, professional mariners must be afforded a minimum amount of rest while working at sea in order to ensure the safety of both the seafarer and fellow crew members. However, during his eight years of employment as a Chief Mate onboard the commercial vessel, Sealand Pride, Skye was forced to work grueling 15-hour work days with little rest, which caused him to develop a heart condition. As per the lawsuit, the environment Skye was exposed to failed to meet federal maritime safety standards. Not only did Maersk allow the crew member to work beyond his capability, but the company also failed to provide mechanized aids to assist Skye – and other workers – when carrying or moving heavy equipment, failed to properly train workers, and failed to provide an overall safe working environment. Additionally, Maersk was aware of the conditions onboard the vessel that were causing a hazardous working environment, and failed to correct or minimize them, further contributing to the injuries of the plaintiff. Because the incidents occurred while the vessel was in navigable waters and because Skye was a seaman who spent the vast majority of his time working onboard the commercial ship, he is protected by the Jones Act, a federal law which protects the best interests and well-being of seafarers by allowing seaman who are injured as a result of the negligence of their employer to sue their employer for damages. Under the Jones Act, a seafarer who has sustained an injury as a result of his employer’s failure to provide a safe environment at work may be eligible to recover compensation for his injuries, disability, and lost wages. Our cruise ship lawyers successfully proved that Maersk acted negligently by overworking Skye to the point where the demands of his position, coupled with the excessive work hours and lack of rest, led the seafarer to suffer from stress, fatigue and heart palpitations. Eventually, the stress took a permanent toll on Skye, causing him to develop an occupational disease (labile hypertension) and physical injuries to his heart, which were revealed during an echocardiogram in 2008 after he signed off the Sealand Pride. If you were injured at sea, contact us for a free no obligation consultation with one of our experienced maritime lawyers. Let us put our experience to work for you.